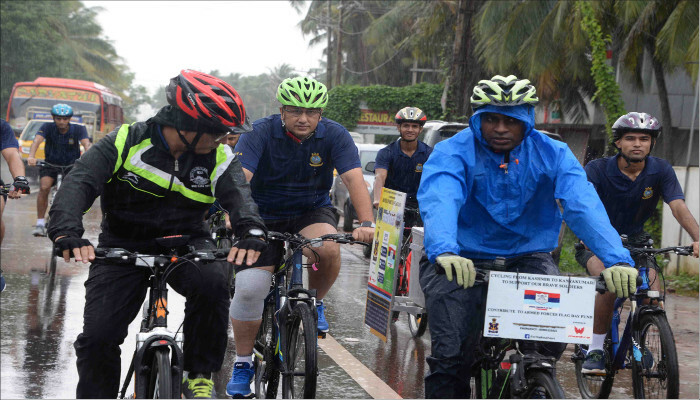 Lieutenant Commander Manoj Gupta a serving Indian Naval Officer presently posted at Indian Naval Academy who is on a solo cycle expedition from Kashmir to Kanyakumar arrived at Kannur district, Kerala today, Tuesday 10 July 2018. 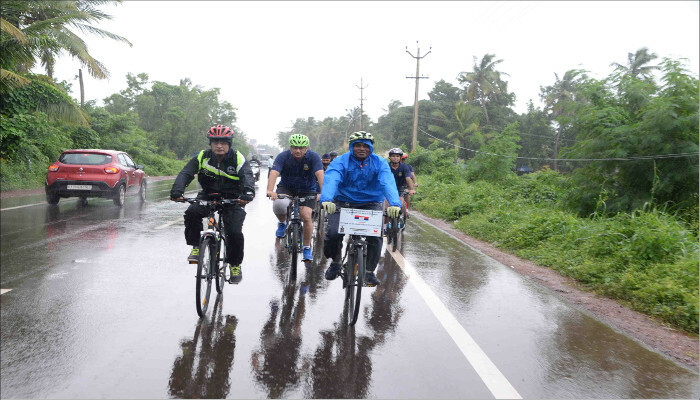 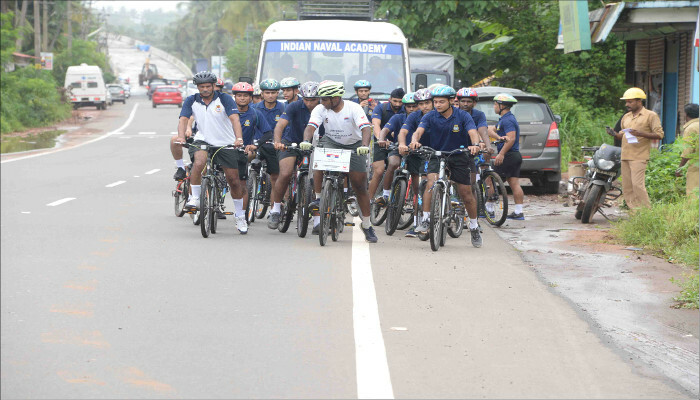 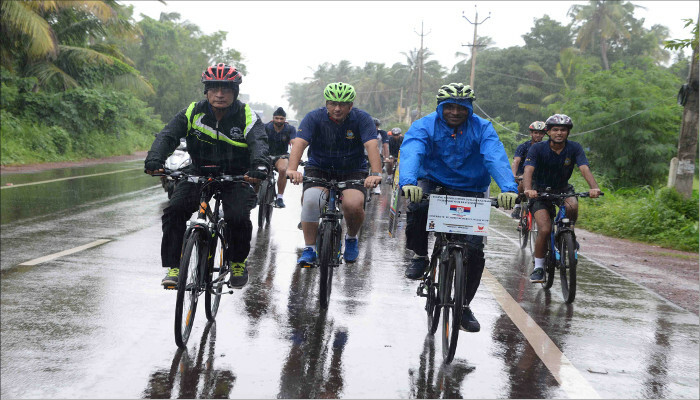 Officers, Midshipmen and family members of Indian Naval Academy rode with him in bicycles from Payyanur to Pappinisseri to bolster his expedition. 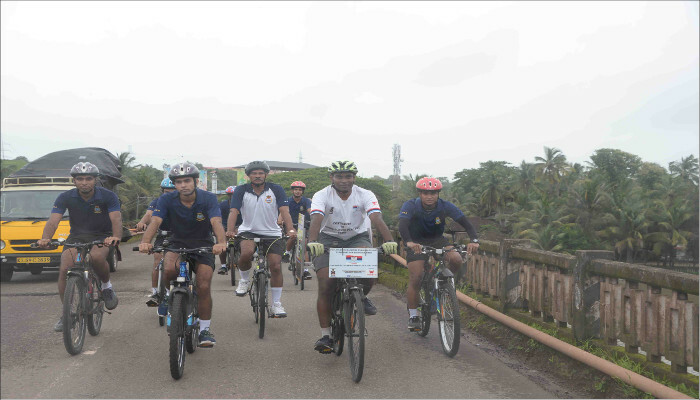 The officer is on a solo cycling expedition to create awareness regarding “Armed Forces Flag Day”. 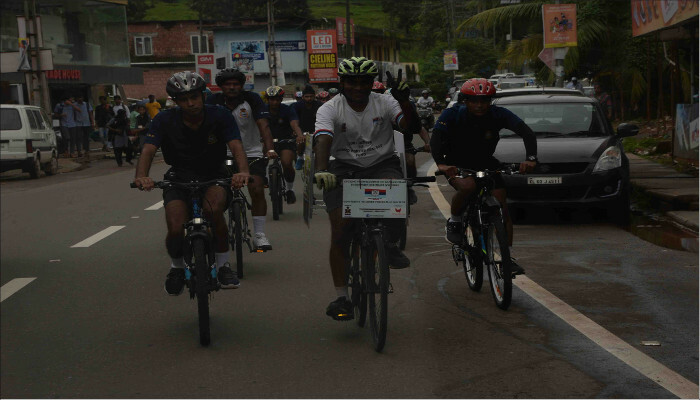 The cycle expedition was flagged off at Khardung La in Ladakh by Commandant Ladakh region of Jammu and Kashmir Regimental Training Centre on 06 June 2018 and is expected to complete at Kanyakumari on 16 July 2018. 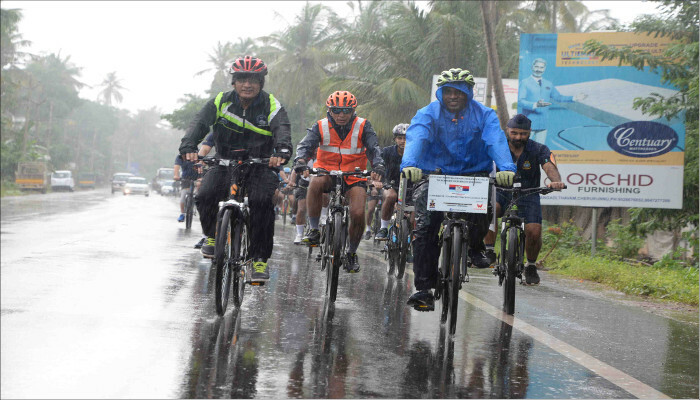 The officer has reached Kannur district after having covered nine states and cycling a distance of approximately 3500 km.